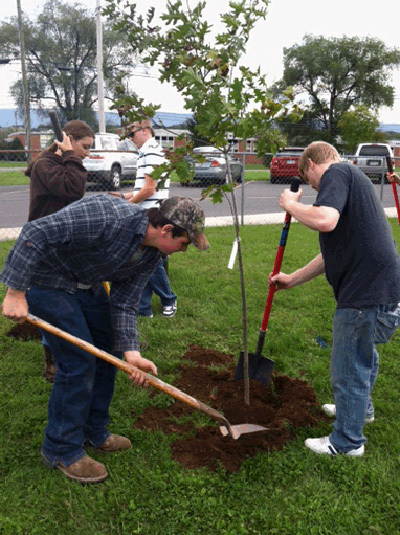 Moorefield Elementary School planted 12 shade trees on October 10, 2012 with the assistance of ten students from Moorefield High School's Ag 3 class. 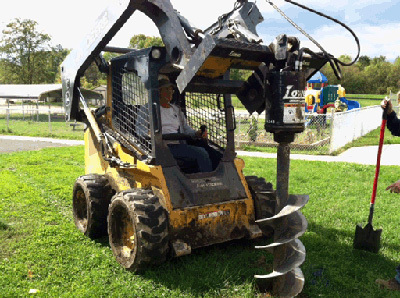 We also had volunteer assistance from Hardy County Parks and Recreation and the West Virginia Conservation Agency. 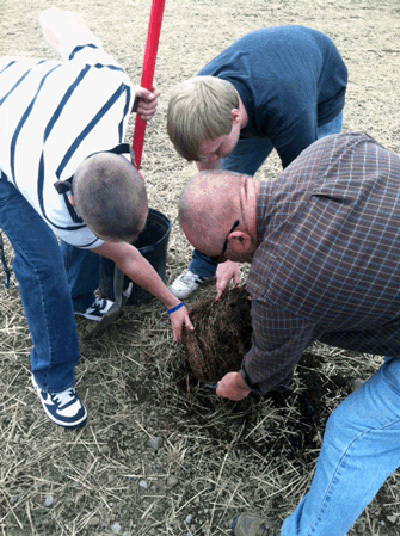 Several parents volunteered their time to assist in preparation and planning for the planting event. The Town of Moorefield is in the process of installing the new wastewater treatment plant which has affected the use of our playground. We have temporary fencing in place where new sewer lines have been placed. This was not a deterrent and we were able to plant around the fence. The children from MES visited with our volunteers on the day of the planting and learned why these trees will become an important part of our campus as they grow. Our volunteers returned later in the week to stake and water the trees in. We are fortunate to have parents and volunteers who are committed to maintaining and caring for the shade trees as they become established.